The Well-Read Redhead: BBAW Day 2: Say hi to Lory @ Emerald City Book Review! BBAW Day 2: Say hi to Lory @ Emerald City Book Review! Let's start with the basics: Who are you? Where are you from? What do you do when you're not reading and blogging about it? I grew up in the Seattle area — that’s one reason for the "Emerald City” name — but I now live in rural New Hampshire, where I work together with my husband as a houseparent for developmentally disabled adults. We have one bookaholic 9 year old son, and I read to him every night (currently Salamandastron by Brian Jacques); if I need him to behave I only need to threaten not to read our nightly installment! I’m lucky that I get to indulge many of my hobbies as part of my job; I enjoy cooking and baking, and working with fiber in our weavery, although I actually much prefer knitting. I’m also a part-time editor/book project manager and a self-taught graphic designer. So I get to be involved with the production of books from beginning to end, and that’s been very satisfying. Choral singing is very important to me as an artistic outlet and way of connecting with others. I’ve been a choir almost constantly since I was 8 years old. For the last year I’ve been singing with a small a capella group that does a varied repertoire, from plainchant to spirituals to partsongs to carols, and I love it. When did you start your blog, and why? I started it on a total whim two years ago when I had some (rare) extra time and was browsing some book blogs. I just thought it looked like fun, and it was! Now I can’t stop, even though there are a million other things I should probably be doing. What types of books draw you in the most? Do you have any genres that you prefer not to read? I used to be a heavy fantasy reader but I’ve moved away from that genre lately, though there have been a few fantasy novels that I really enjoyed in recent years. Reading blogs and participating in events and challenges has shifted my reading quite a bit; I think that I now read a lot more nonfiction than I used to, and I’ve been working through my list for the Classics Club. I also now tend to gravitate strongly toward historical fiction; the different time periods and settings are always so fascinating to me. I don’t like books that are very scary or graphically violent, but I’ll read almost anything else. I tend not to read the hot new books that everyone is talking about, but it’s not because I consciously avoid them — I just have so many old books on my list already. 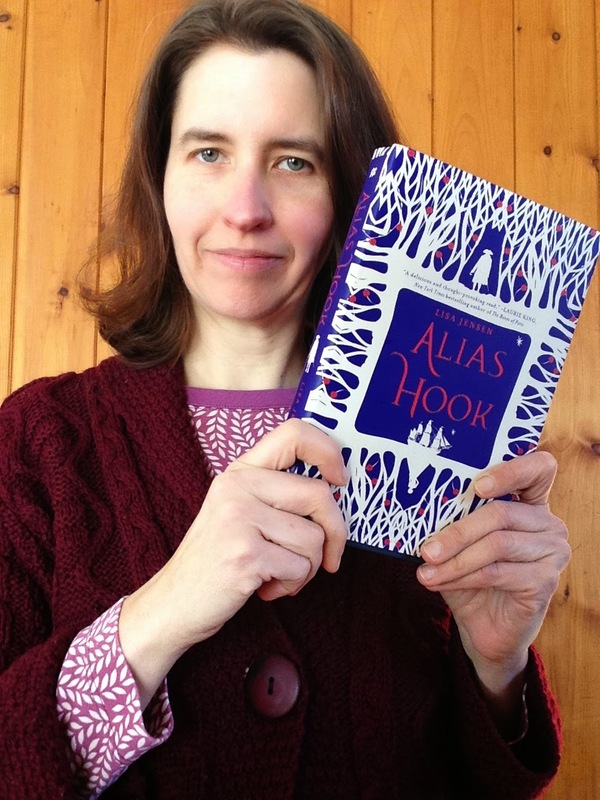 What were your top 3 books of 2015? 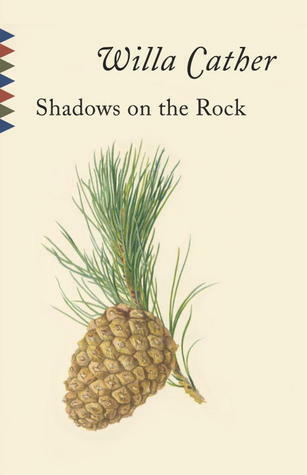 I really loved Shadows on the Rock by Willa Cather, set in 17th century Quebec, for its beautiful writing and wonderful sense of place and time. Kate Forsyth’s The Wild Girl by Kate Forsyth was incredibly powerful and moving, and illuminated the origins of the Grimm fairy tales, one of my literary touchstones. To pick something non-historical, El Deafo by Cece Bell was such a funny and brave and cleverly done graphic memoir, ostensibly about struggling with a “disability” but really about universal themes of acceptance and self-esteem. In addition to being a reader, you are also quite the writer! What sparked your love of writing? My love of reading! I’ve always thought it would be wonderful to produce something that would give others the pleasure that books have given to me. And even though I haven’t become a fiction writer, I love writing about books and sharing my passion with others that way. I moved to this region only a few years ago, but my family roots actually go way back here. I’ve finally accepted that I’m no longer a West Coast girl, and I thought it would be interesting to delve into the history and literature of the places that are now closest to me. I’m especially looking forward to getting some insight into Connecticut — I seem to be always just driving through it on my way somewhere else. Some of my favorite books from the region include Little Women by Louisa May Alcott, Theophilus North by Thornton Wilder, and The Secret History by Donna Tartt. I’m also a fan of Jane Langton, both for her adult mysteries and her children’s books. I haven’t been to many signings or conferences since I started blogging, as such events tend to be rather far away from me, but I’ve been so touched by the kindness of many people I’ve met only online. One of my proudest moments was when a rep from the UK publisher Slightly Foxed said they didn’t usually send review copies, but she was making an exception for me because she liked my blog and thought it was very in line with their style. Their magazine is one of my major inspirations, so I was tremendously pleased by that. What are your plans for Emerald City Book Review going forward? Right now it’s all about Reading New England for me — I have so many ideas I want to try and fit in during the year. Next year I think I’ll need to scale back and not run such a large-scale event, but I’m sure I’ll come up with something else new to try. My main hope is to continue pleasing my loyal readers, and to keep attracting new ones to join the conversation. I wrote a comment directed to you on Lory's blog this morning (I hope you're reading them)...I didn't realize you were an Olympics fan! So am I - totally obsessed since 1988! Thank you Kelly! I was glad to learn more about you as well. You're welcome! This was my favorite part of BBAW back in 2012, so glad Andi & co brought it back. I love thrillers and mysteries so scary and violent are right up my alley. You had extra time, lol, I'm sure with reading lots and blogging there is no 'extra' time now but rewarding time. To each his (or her) own -- it would be awfully boring if we all liked the same books! You're right, I find blogging a very rewarding way to use my time. Another fun interview! I don't know why I keep forgetting about Lory's Reading New England Challenge. Although I try not to sign up for a lot of year-long challenges, this one I could probably do just with my regular reading, since I read a lot of New England authors, being in Massachusetts. I try to intersect challenges with my regular reading whenever possible! I overlooked the part where you said you were a Jane Langton fan. So am I! She came to the library where I worked for a panel discussion 7-8 years ago and she was a fun speaker. I missed the part where you no longer live in Seattle! And, I love Jane Langton, except sometimes I find her mysteries too painful to actually read. I am weird. I haven't lived in Seattle for 20 years but it's still very dear to my heart. That's an interesting reaction to Jane Langton...she does have some pretty painful situations going on in her stories at times. Yes, and they are so intense (to me anyway) and sloooow to develop that I can't stand it. The church is going to fall, and going to fall, and going to fall...the scary face appears ever so slowly (I started reading that one, which I'd read before, and I couldn't take it)...and then there's the worst one which I will never read again. Haha, very true! Somehow that doesn't bother me so much though. Lory, how cool! I didn't know that you were a singer, that's wonderful! Can we hope to ever hear a recording of your a capella group singing? Inquiring minds want to know! Ok, I'll send you one! Hope you like it. I don't mind violent so much but I really hate spooky. How neat that you sing (a talent I truly don't have). I could never understand people who liked being scared by books. I can tolerate a bit of spookiness but too much keeps me up at night. I totally feel you on the spooky book front. I have to be very careful about what "scary" books I'll read. Because nightmares. I love the fact that you're in a choir and have been for such a long time. I love to sing too, but I am not in a choir - just sometimes specially on Sundays at church. And from Seattle to New Hampshire - that's a bit of a difference. Loved the interview! Ha ha, yes, it's been quite an adjustment! I never wanted to live on the East Coast, but I love it now.